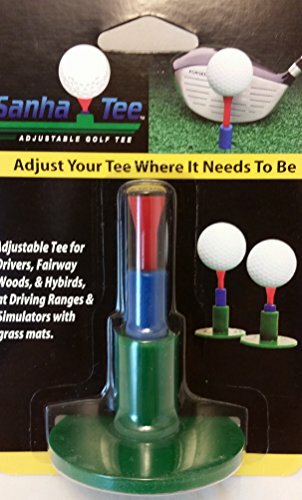 Adjustable height golf tee for commercial grass mats. Simply pull up or press down to the desired tee height. Used with commercial grass mats found at driving ranges. Adjustable height from 1.750" to 3.375" high. Ball holder same size as a standard golf tee. Outside surface smooth and tapered. If you have any questions about this product by Sanha, contact us by completing and submitting the form below. If you are looking for a specif part number, please include it with your message.